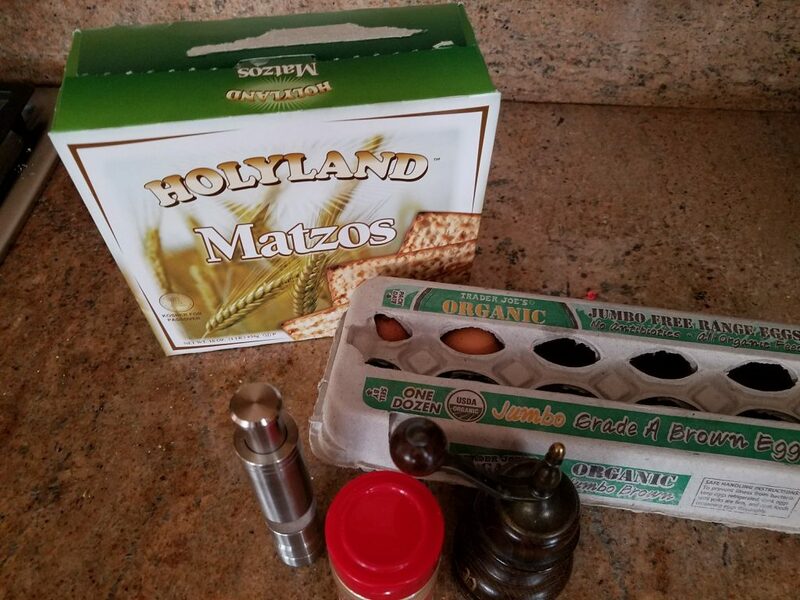 Keschem: A Passover Breakfast Worth Waiting For! This post isn’t textile-art related. Tonight, however, is the beginning of the Jewish holiday of Passover. 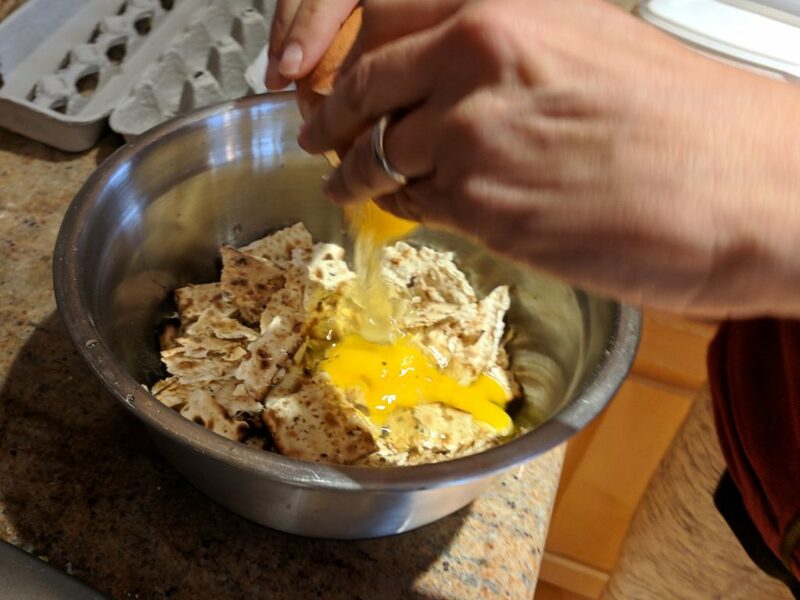 And so I thought it was a great opportunity to share with you the recipe for my favorite Passover breakfast: Keschem. 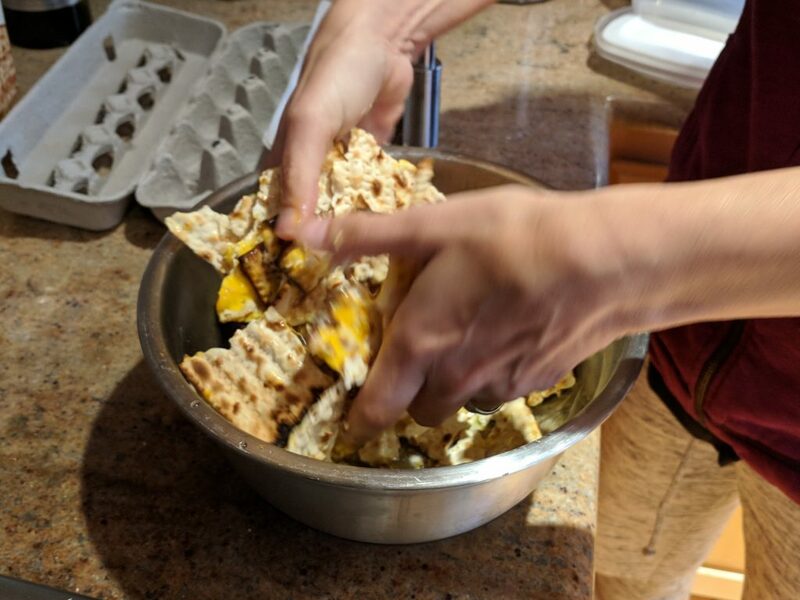 I’m sure you’ve all heard of Matzo Brei, the fried Matzo and egg dish. Well, this is a bit similar, only A LOT better. Most people I know, even if they’re Jewish or Israeli, have never heard of Keschem. I don’t know which part of the world the recipe originated from. I also have no idea what the name Keschem means, or even what language it is (it doesn’t sound like Hebrew). Even my dad doesn’t know anything about its origins. But it’s been a long tradition in my family. 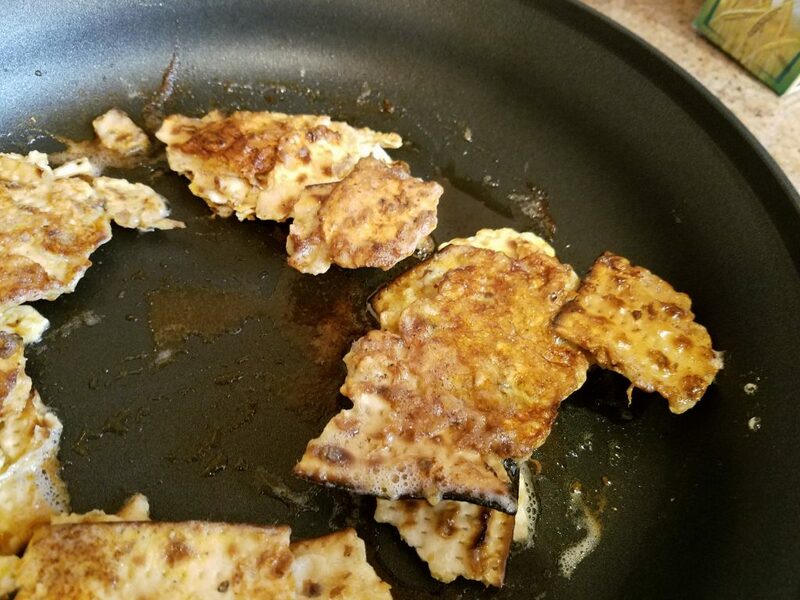 My father grew up eating it every Passover, and he made sure that we did, too. Here is how to make Keschem. 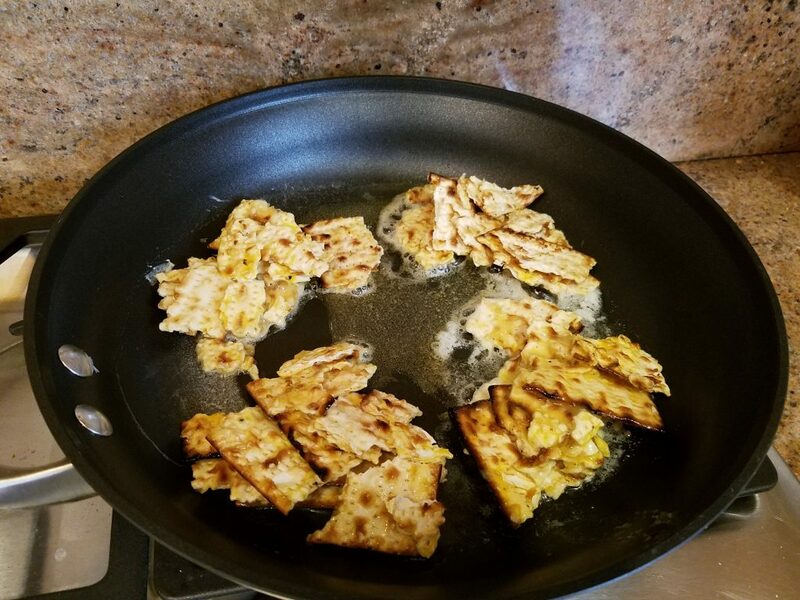 Try it this week, when all the stores carry Matzos! The following is for one portion. If you want more, multiply by the number of people you want to feed. 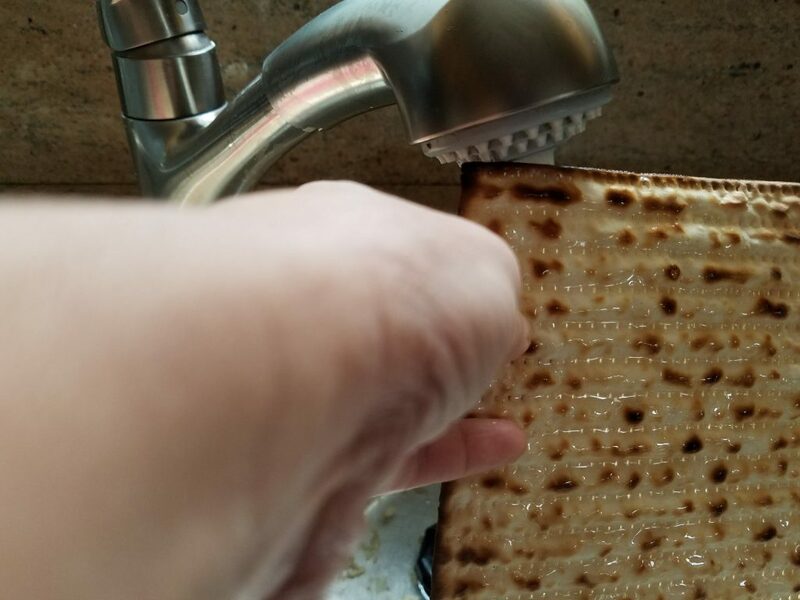 Run the matzos through running tap water, so they are wet but not soaked. Let them sit for a minute or so to absorb some of the water. 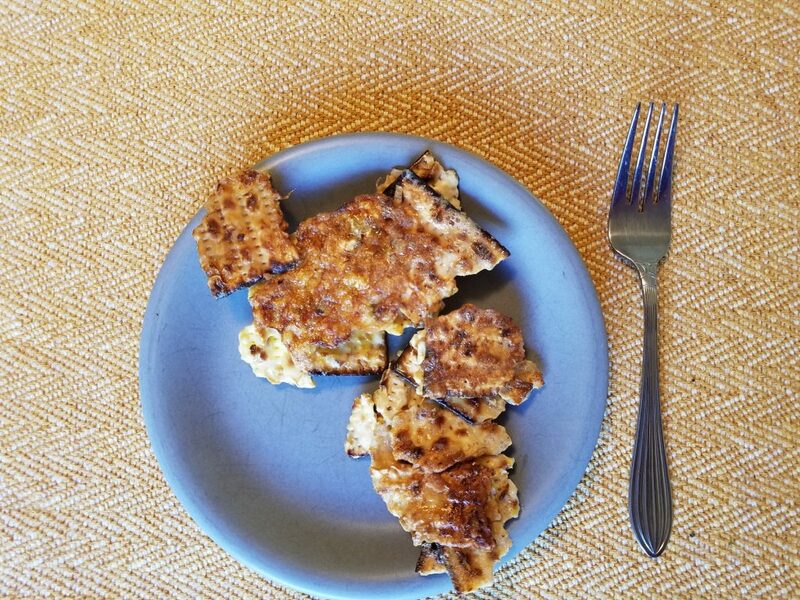 Crumble the matzos into small pieces, and put in a bowl. Add the egg. Add some salt, lots of pepper, and the secret ingredient: ginger powder. You can play with amounts according to taste. With your hands, mix it all together. When the butter is very hot, make patties from the mixture in the bowel and put in the pan. It works best if you make the patties small. Fry until golden and crisp. 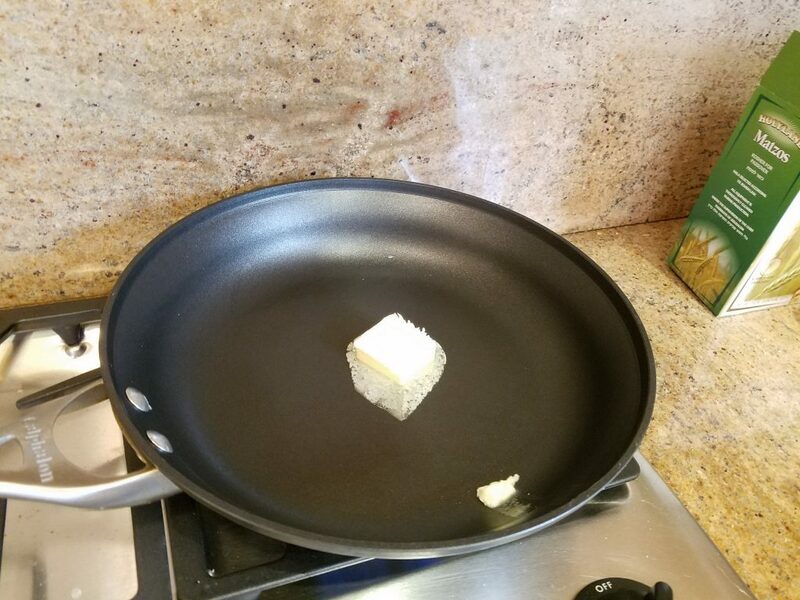 Add butter as needed. Turn over and fry the other side. The crispier the better! The Keschem is ready when both sides are golden and crispy. It is great as is. But if you want, you can add a slice of cheese while frying the second side. The cheese will melt into the patty by the time the bottom is ready, and will add to the taste. This entry was posted in Recipes and tagged cooking, food, keschem, recipes by ANY Texture. Bookmark the permalink.